Do you work at Dalchini Hakka Chinese Cuisine? What did you think of Dalchini Hakka Chinese Cuisine? The food at Dalchini Hakka Chinese Cuisine is just amazing. The fabulous flavours of garlic and spices, make the food simply mouthwatering. I would thoroughly recommend Dalchini Hakka to anyone who loves their Eastern food. I've been to Dalchini Hakka Chinese Cuisine loads of times, and never had a bad experience. The food's fantastic and the menu really varied. The people in there are great too and Dalchini Hakka is a favourite spot of mine. Great Food at a great price I would highly recommend this place to anyone in the area. I will definitely be back. This is one of my favourite restaurants. The staff are friendly, the food is excellent and the restaurant is very pretty. I would highly recommend it. We have parties there and the downstairs area is perfect for that. 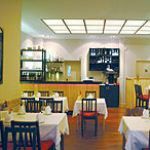 A fascinating fusion of Chinese and Indian cuisine, Dalchini earns its stripes as a local favourite in upmarket Wimbledon. From the immaculately presented tables to the clean, fresh décor and the well-groomed staff, Dalchini makes a good first impression. 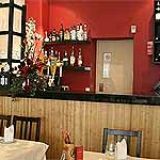 This small restaurant, neatly nestled on the high street near Wimbledon Park tube, is one of the few London restaurants to specialise in the wonderfully unique Hakka Chinese cuisine. 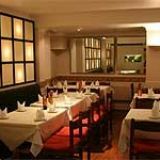 Their hybrid menu blends the spices and flavours typical of your favourite Indian dishes with a Chinese twist and it’s all delivered in a friendly local setting. The restaurant has two floors, both which buzz with diners on most Fridays and Saturdays. On quieter nights all diners congregate in the intimate space upstairs. 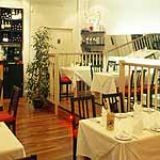 Satiating an affluent Wimbledon crowd and playing an active role in the community by hosting various social and fundraising events, Dalchini exudes the welcoming warmth of a neighbourhood eatery that’s pleasant for both casual midweek meals and weekend parties. If you adore both Indian and Chinese cuisine, you’ll get the best of both worlds here with traditional favourites from both (aromatic duck: check, lamb masala curry: check) having an influence on Dalchini’s menu. To start, the Hong Kong paneer (£4.75) is a genius combination of Asian and Oriental spices and ingredients – cubes of the Indian cheese are soft, spongy and flavoursome with chilli, star anise and soy sauce. A dish typical of Hakka cuisine is their Manchurian chicken (£7.25), although quite tasty, this dish is an aesthetic disaster with tiny pieces of diced boneless, garlicky chicken forming a unappealing dark brown mass gelatinous with a soy and chilli sauce. Black bean prawns (£8.95) is similarly flavourful but the prawns are overpowered by the dominant ginger, garlic and black bean sauce. A side of lightly battered baby aubergine offers a nice respite from the weighty meat dishes, as does the tangy burnt ginger rice and the traditional Chinese (and delightfully cloud-like) steamed man thau ‘bread’ – perfect for soaking up the juices from your dish. On the whole, the food is enjoyable and filling – best practice ordering would be to get a broad range of dishes to share and ensure you get some light and fresh options to balance out the heavier battered seafood and meats with big-flavoured sauces. For afters, the light, creamy and delicately flavoured ice creams are great to round off the meal - try stem ginger or cinnamon and honey for a unique treat. If you’re a bit braver, the honey noodles (crispy egg noodles coated with honey) are an interesting house special at £3.95. There’s a huge list of drinks to match the various styles of food served here, including unique non-alcoholic drinks such as the Rose Sherbet (a very sweet version of pink lemonade, usually more commonly associated with Turkish cuisine). There’s a decently sized wine list starting from around the £14 mark including usual suspects like a Chilean Merlot and South African Pinotage. Bottled beers from around £3 are a great match for the flavourful, spicy dishes and there is a very good selection of teas including traditional Chinese tea, ginger and camomile. Authentic and tasty, Dalchini offers pleasant surroundings and a large unique menu with wide appeal.